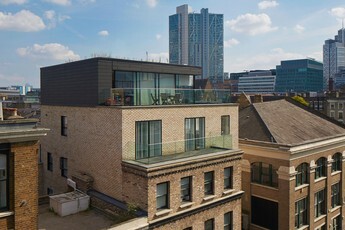 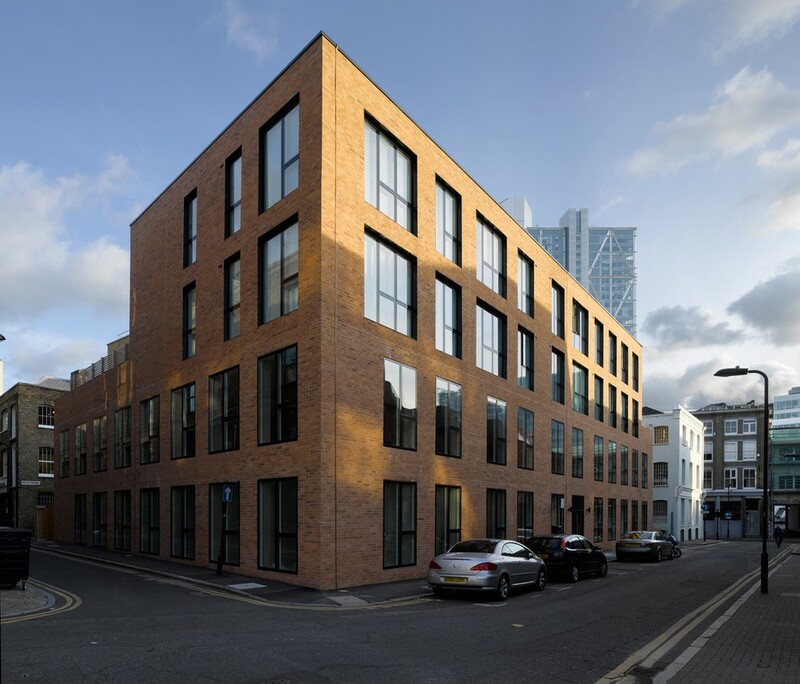 This modern mixed-use building in the heart of the South Shoreditch Conservation Area is based on the dimensions of the local Victorian warehouses, restoring the scale of the streetscape to the previously unoccupied site. 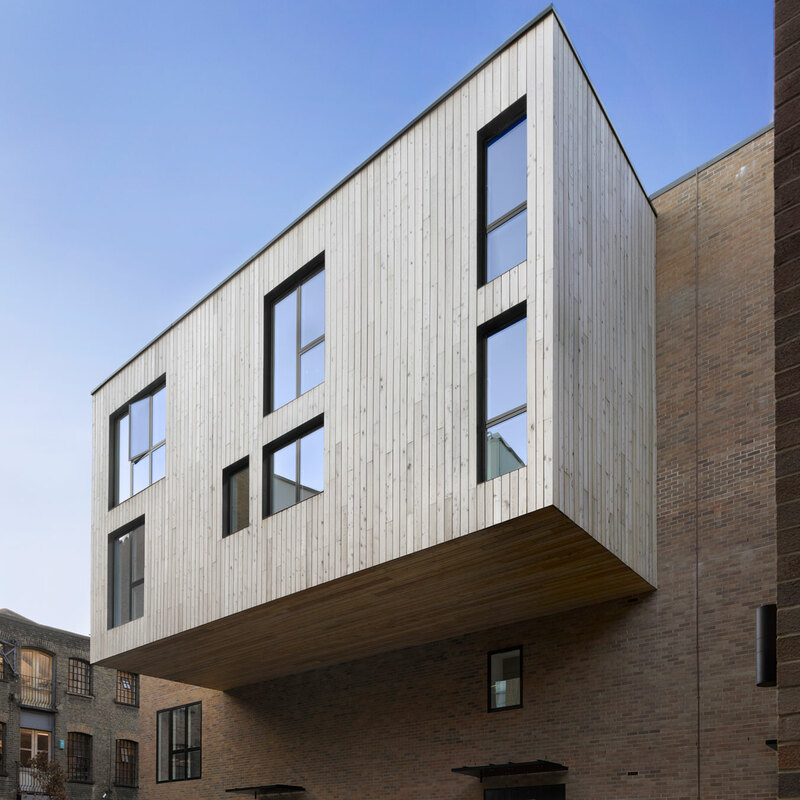 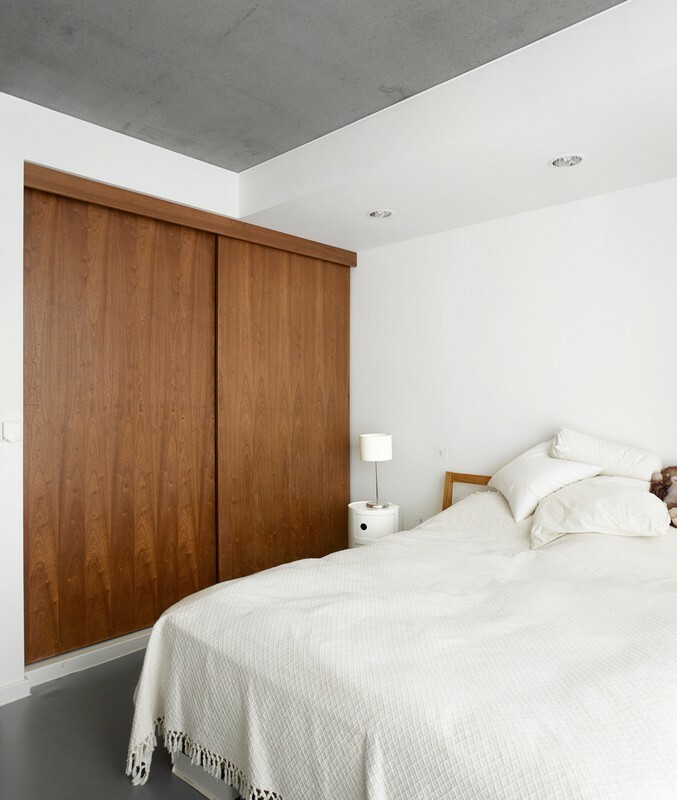 Due to the narrow surrounding streets, the building - which provides 11 apartments and studio space - is predominantly seen from an oblique angle. 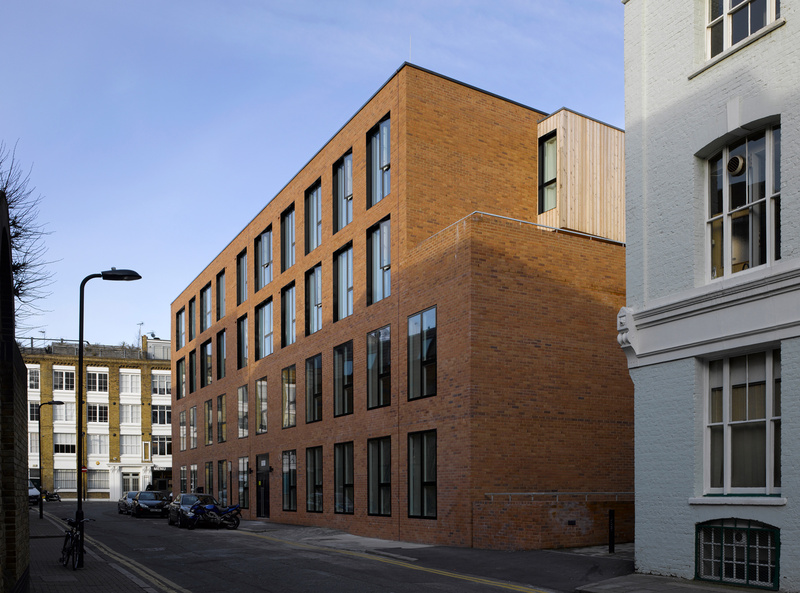 In response the facade graduates in depth across the storeys, from the flushed glazed commercial floors to the deep reveals of the residential upper storeys. 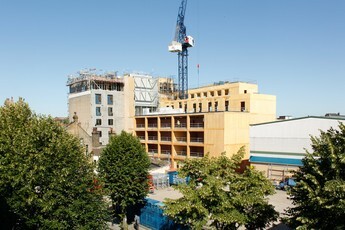 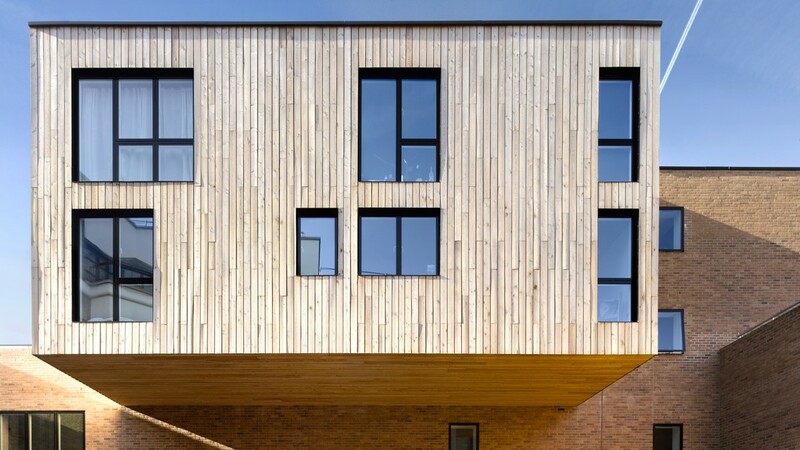 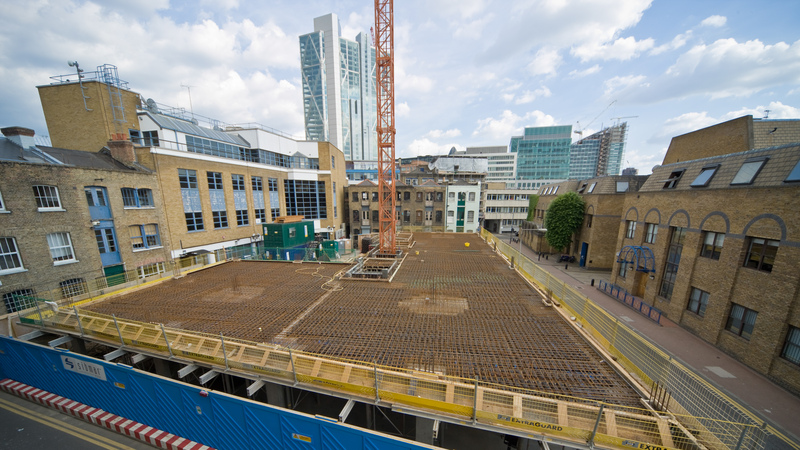 The building represents the first use of a hollow-core CobiaxDeck system in the UK - a fast and inexpensive construction method that reduced the amount of concrete in the frame by over a third. 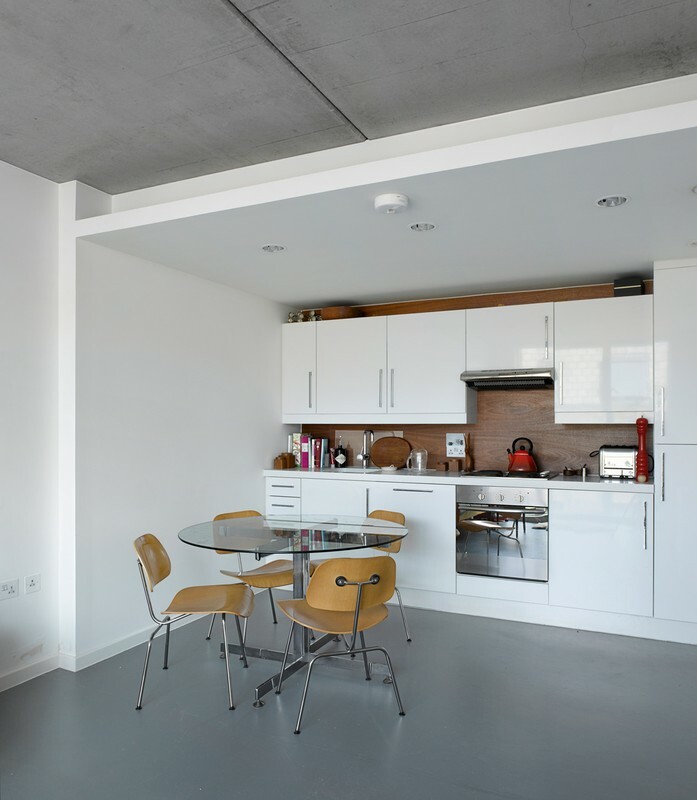 The building is highly insulated, and designed to optimise all available natural light and cross ventilation. 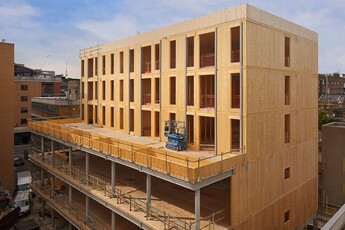 Its environmental performance is further enhanced by a myriad of solar energy technologies, its brown biodiverse roof, and two accessible green roof terraces.